You don’t want to head to Nissan dealerships near Waggaman, LA, that you know nothing about. Instead, you’ll want to find a dealership that offers you amazing services and prices you can afford. It may sound like a difficult task to find these types of dealerships, but that’s far from the truth. In fact, you can get an amazing car from a great dealership if you just know what you’re looking for. Take a look at some of the qualities you should be on the lookout for, and you’ll be well on your way to having a simple and stress-free car-buying experience. Pay attention to how the staff treats you when you walk into a dealership near Waggaman, LA. They should be able to help you find the right vehicle at a price you can afford. While you want them to be helpful, you should also make sure that they’re not being too pushy with you. You don’t want to feel any pressure to make a purchase you won’t be able to afford, so if the staff members are making you feel uncomfortable in any way, you should move on to a different dealership. You probably don’t expect Nissan dealerships to look like palaces, but they should at least be clean and organized, right? You don’t want to do business with a dealership that can’t even keep its space clean. Therefore, look around to make sure that everything is in its place and that the dealership isn’t dirty or in disarray. You want to be able to choose from a wide variety of different vehicles, don’t you? While this should be a priority no matter what, it’s an even bigger deal if you are shopping for a used car from Nissan dealerships in the area. Look at the lot and the showroom to see how many different cars are for sale so you can be sure that you’ll be able to find exactly what you’re looking for. 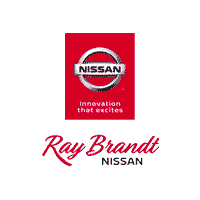 When you want to go to an amazing dealership that offers great prices, an exceptional staff, and a large selection of vehicles, you need to come visit us here at Ray Brandt Nissan. We are proud to serve customers near the Waggaman, LA, area and beyond, so see what we have in store for you today.